Help Loved Ones Get on Do Not Contact Lists | The Consumer Law Group, P.C. You may be able to smell a bad offer from a mile away, but are you confident that other people in your life have the same ability? Does your 75-year-old mother know not to give sensitive information out over the phone? Will your 19-year-old son be tempted by credit card offers he receives at his campus residence? If you have any concern that your loved one will be the victim of a telephone scam or unsolicited offer, you should take the time to place their names on a few “Do Not Contact” lists. For some of us, a mailbox full of credit card offers is just an annoyance, but for a college student, it can look like free money. You might want to take steps to protect the college student in your life from the temptation of applying for lines of credit he will not be able to pay off or insurance policies he doesn’t need. Once your child has graduated and established a strong credit score, he may want the good terms pre-approved credit cards can offer, so you should choose the 5-year opt-out available from the major credit reporting agencies. To do this, you will need to enter the person’s name, address, Social Security number, and date of birth at www.OptOutPrescreen.com. Older people are a target audience for telemarketers as they are often lonely and willing to talk on the phone. 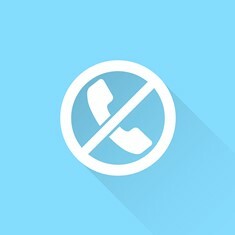 If your loved one is likely to take the bait when a telemarketer calls, put their phone number on the federal Do Not Call registry at www.donotcall.gov. You can also reduce junk mail offers by opting out of receiving mail from marketers who use the Direct Marketing Association’s Mail Preference Service at www.dmachoice.org. This will not stop all unsolicited offers, but will significantly reduce them. You can also register an email address with them to stop some direct-marketing email. Helping your loved one set up email filters will also reduce offensive and deceptive email messages. Whether they are offering a legitimate product or attempting a scam, unsolicited phone calls, email, and junk mail can end up costing your loved one money they don’t have to spend. Eliminate the temptation by taking these steps on their behalf today.